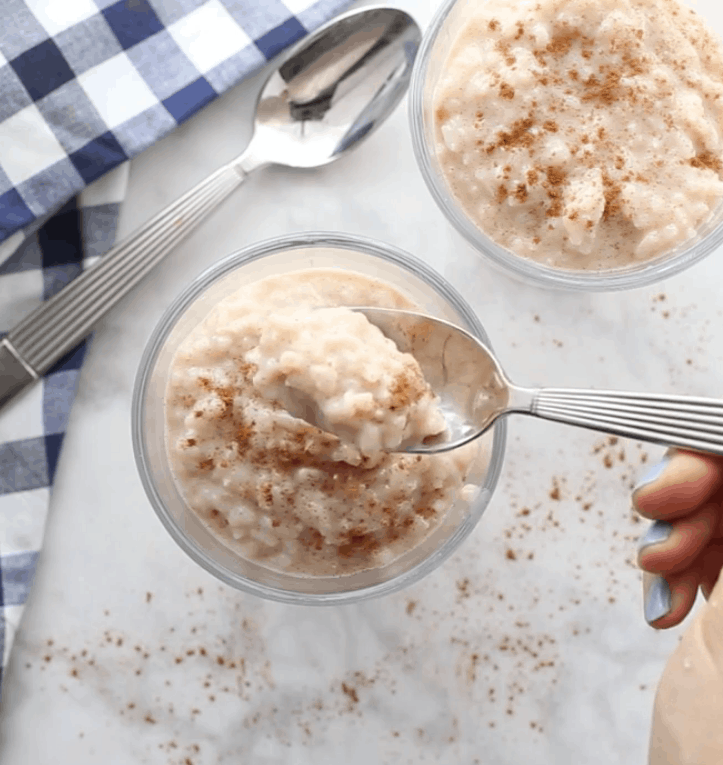 If you love Rice Pudding then you’ll love this easy stovetop rice pudding recipe – it’s a great way to use up leftover cooked rice! Okay ladies (and gents, too) today I am sharing with you the most frugal dessert recipe you will ever find. This rice pudding is as easy as it is delicious. 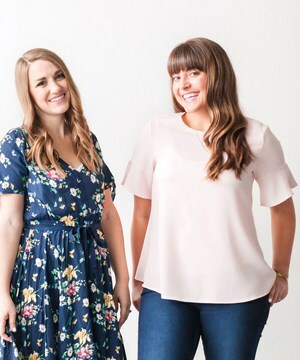 We do our budget monthly, and it seems like almost every month by the last week I am completely out of money and we are eating out of the pantry. When this happens, sometimes on the weekend or date night or whatever, I will try to make a treat to liven up the party! I love this recipe because I can almost guarantee that I will always have everything I need on hand, and the whole family loves it – even our pickiest kids! Can you make rice pudding with cooked rice? I have been shocked how many people have asked me if you can make rice pudding with cooked rice, and the answer is an absolute YES! Using cooked rice eliminates waste by utilizing leftovers and eliminates valuable time you would spend slaving over a hot stove! Not only that, but it tastes AMAZING. Honestly, I like the taste of using cooked rice better, if I notice a difference at all! Which kind of rice is best for rice pudding? Another frequently asked question I get is which kind of rice is the best to use to make this easy rice pudding! I typically use regular long grain white rice because that is what I usually have on hand. That being said I have also used basmati, jasmine, arborio, and sushi rice and they all work super well! The only kind I use that I don’t super prefer for this recipe is brown rice or wild rice. 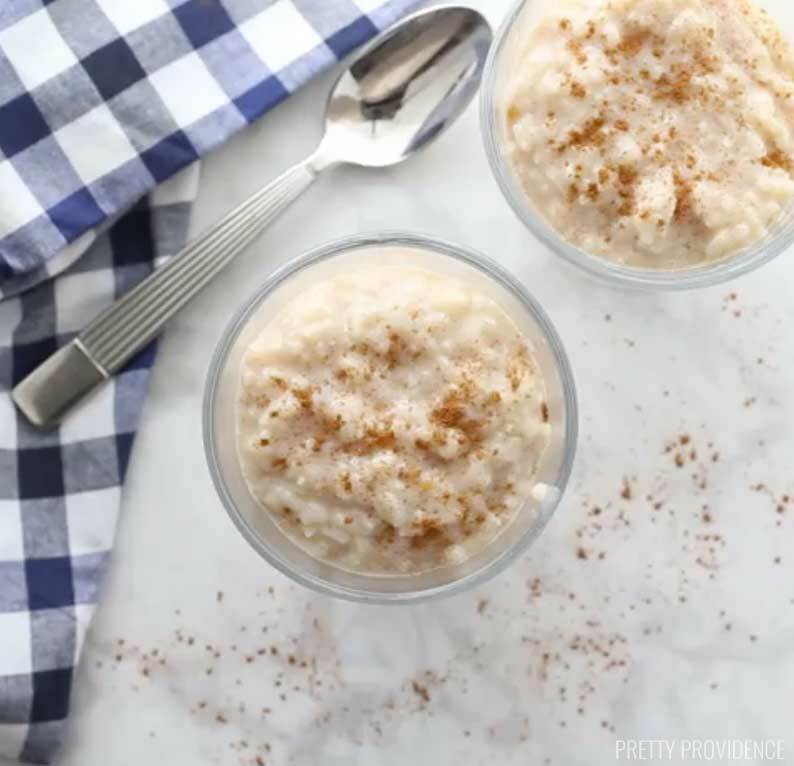 Easy Rice Pudding is the perfect use for all your leftover rice! Plus I guarantee you have everything you need in the pantry right now! Dump all of your ingredients into a sauce pan and mix together over medium low heat. Bring to a soft boil and stir constantly (to prevent burning). Cook for fifteen to twenty minutes, or until mixture is thickened. Let rice pudding cool a bit before serving. It is honestly delicious served warm or cold! Right after we make it, we eat some warm. Then, the next day, we eat the leftovers straight from the fridge! I love raisins, how much can I add to the rum recipe? I made this tonight just To try it before I make a big batch. I’ve never made rice pudding before. It turned out so So good. How big are your servings when you SAY it serves 8? I need To feed 30. BUt I know I won’t give each person a lot. I’m putting it in little cups. Would tripling it be good? Yes, I think that should be plenty!! I’m so glad you loved it! Let us know how it goes! This homemade version is so good! Never buying store bought again! So glad you’re with me! Thanks Sabrina! I love rice pudding but I just don’t make it that often. Thanks for showing a great simple recipe, time to start making this more! You are so welcome! Thanks Billy! 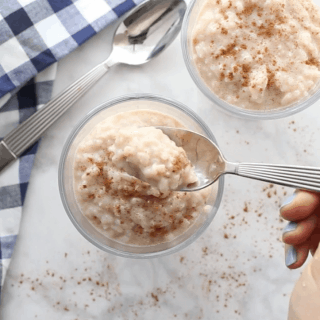 Rice pudding is perfect for those cool nights! The hint of cinnamon makes it’s so comforting! Yes! It is my favorite in the winter months! Thanks Kristyn! I love rice pudding and had no idea how easy it is to make. I will be making this soon. It’s one of my favorite childhood memories. This is a perfect rice pudding recipe when you need a recipe with no eggs. So creamy and delicious! So true! Thank you Kara! I’ve always wanted to make rice pudding. Totally pinning this! Yay! It is so easy and yummy, you’ll love it! The directions are all over the page with different ads. They were easy to follow up until recently. Yes it’s definitely NOT watery! Yay!! I’m so glad you love it! Fabulous! A pinch of nutmeg on top is perfection! It’s nearly the same recipe my mom left me! It’s fabulous! Nutmeg on top! This is nearly the exact recipe my mother taught me how to make. It is fabulous Rice Pudding!!! Like you all, we had it hot right away then right from the fridge until it was, very soon, all gone!!! The only thing I do differently is adding some nutmeg on top to stir into the yumminess!!! It’s then outstanding!!! Yes, you cook the rice first! We usually make this with leftover rice we have in the fridge from dinner the night before, but you can definitely just make rice and use it! No dumb questions!! Good luck ???? You doing it exact right. this was sooooo yummy! I didn’t have vanilla so I substituted with a tsp of brown sugar. Came out amazing! Thanks so much. Made this for breakfast this morning, and it was fantastic! And I can attest to the “easy” part of the title–I made it with 1 hand while holding my sicky 2-year old :) Thanks! Hooray!! I’m so so glad you liked it! Thanks for coming back to tell us, made my night! Do it! So yummy and so easy! Just finished making this. It’s still hot on the stove. :) I doubled the recipe and ended up cooking it for 45 mins. My wrist hurts from all that stirring, but it was worth it. Thanks! You are so welcome!! Sorry about the wrists though, haha! You are totally making me crave it now! This recipe is delicious, and my 1 and 2 year old can help me make it which we all love! Yay! I’m so so glad you like! Haha hooray!! I’m so glad they love it! I have never tried freezing before so I’m not sure, but it sounds like a great idea! Let us know if you try it! Just made this with my daughter – we had a blast and she got so excited! Thanks for helping us have a good time while being frugal and fun! I have to admit I was skeptical, but this is fantastic! I’ll definitely be making this quite often in the future! Thanks so much! Haha raisins and I are not bffs! But you can definitely add them in!! This recipe sounds great. I’m wonering what the results would be if I sub milk for almond milk to add an extra flavor? I’ve never tried it but it definitely sounds yummy! Let us know the results! I used coconut milk and rum soaked raisins… turned out amazing. So I just made it exactly as the recipe said to and the flavor came out perfectly but I feel like my rice isn’t tender enough, even after absorbing the milk and cooking for 20-ish minutes. What would you suggest? Hmm that is strange. I would maybe try adding like 1/4 cup more milk next time. However, it does soften up as it sits so if you put it in the fridge for a few hours I bet it would be perfect! I just realized that I did put in a little more than 2 cups of rice but kept the amount of milk the same, so that might be it! Also, I was thinking I could adjust my water to rice ratio when I cook my rice to make it a bit softer in general? P.S. thanks for responding so quickly. Your guy’s blog is awesome! Oh good idea on the water too, I’m sure that would help a lot! No problem at all, you are so sweet! I hope it works out better next time! Thank you for this recipe. It is just like my grandma used to make. Love it!!! Yay!! I’m so glad you like it!! I just made some tonight and I’m eating it warm. I added raisins. Hard to believe that this 48 year old mom from a large family has made it for the first time ever. Thanks for sharing. Does it matter the type of rice you use? Long or short grain? We’ve made it with both just fine! Even brown rice works! !